The Board of Directors comprises executive directors and non-executive directors. It is responsible for setting the strategic direction of the trust and overseeing organisational performance. Ultimately, the Board is accountable for ensuring that the trust delivers safe, high-quality care and a positive experience for patients. 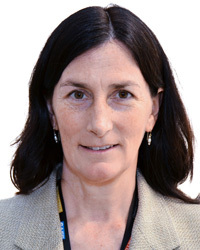 Lesley became Chief Executive of Chelsea and Westminster Hospital NHS Foundation Trust on 14 September 2015. A nurse and midwife by training, Lesley has executive experience at the highest level, having been a Chair of a Health Authority, and Director of Nursing and Operations at a major hospital. 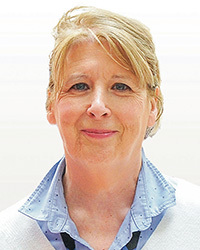 Prior to her appointment as Chief Executive, Lesley was Accountable Officer (Chief Executive) for East & North Hertfordshire Clinical Commissioning Group. In 2018 Lesley was awarded the prestigious NHS CEO of the Year at the HSJ Awards. Zoë Penn was appointed as Medical Director in March 2013. She was previously Divisional Medical Director for Women, Neonatal, Children & Young People, HIV, GUM & Dermatology Services and is a Consultant Obstetrician by background. Miss Penn has been a consultant with the Trust since 1996, during which time she has held a number of positions including Clinical Lead for Gynaecology and Clinical Director for Women and Children's Services. Zoë also has responsibility for Quality, including our assurance systems and processes. Robert Hodgkiss was appointed as Chief Operating officer in March 2016. 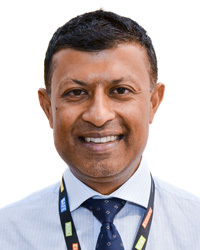 He joined the Trust in April 2012 as Divisional Director of Operations for Women, Neonatal, Children & Young People, HIV, GUM & Dermatology Services, having previously been a Divisional Director for 4 years previously at a trust in the West Midlands. Robert joined the NHS in 1992, initially working as a Healthcare Assistant before moving on to various junior, middle, senior management roles across London and the Midlands. Sandra Easton joined the Foundation Trust in August 2015 as Director of Finance before becoming Chief Financial Officer in March 2016. She is also for responsible for Human Resources and Organisational Development. Previously she was Deputy Director of Finance at Imperial College Healthcare NHS Trust. Sandra started her NHS career in 2001 after finishing her degree in Financial Services and has a wealth of experience across acute, tertiary, community and mental health providers. Sandra is an Associate of the Chartered Institute of Management Accountants (AMCA) and a Chartered Public Finance Accountant (CPFA). 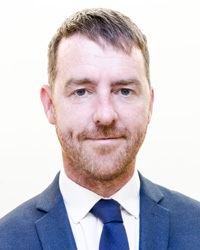 Tom joined the Trust as Director of Human Resources and Organisational Development in March 2019. Previously he held the Chief People Officer role at East and North Hertfordshire NHS Trust and took a leading role in the merger of Barts Health NHS Trust. Prior to joining the NHS, Tom had a range of HR roles within retail and consulting. Tom has a wealth of experience in delivering large scale change, service transformation and improvement in transactional HR services. He is a Fellow of the Chartered Institute of Personnel and Development (FCIPD). Pippa joined the NHS in 1994, originally working as a maternity support worker. She qualified in 1998 and worked clinically for 10 years in maternity and neonates. On completion of her MSc in advanced clinical practice in 2007 she undertook a clinical academic role at the University of Hertfordshire. Pippa entered back into the acute setting as a Matron and then as a Consultant Midwife. She has undertaken numerous professional leadership roles including Deputy Director of Midwifery at Imperial, and Director of Midwifery and Clinical Director at Chelsea and Westminster. Pippa has experience at leading large-scale, complex health system reorganisations and led the transition of maternity services in north west London—this ensured that safe care was delivered to 33,000 women by standardising maternity services across 6 acute providers. Pippa is committed to ensuring healthcare services provide high quality, safe and personalised care to users and their families, and supports staff to develop and progress their careers. Sir Thomas Hughes-Hallett is co Founder (with his friend Paul Marshall) and Chair of The Marshall Institute within the London School of Economics and Political Science and Chair of Chelsea and Westminster Hospital NHS Foundation Trust. He is also a Trustee of The Esmée Fairbairn Foundation and The King's Fund, and is on the Board of the Westminster Abbey Foundation. He has been appointed a Professor in Practise at the London School of Economics and adjunct Professor at imperial College’s Institute for Global Heath Innovation. Thomas has served the Department of Health as a Chair or member of a number of advisory boards. He has held senior leadership positions with in investment banking and the voluntary sector including Chair of Michael Palin Centre for Stammering Children, English Churches Housing Group, Chief Executive of Marie Curie Cancer Care, and the Institute of Global Health Innovation at Imperial College London amongst others. Sir Thomas has chaired commissions both for the government and independently on healthcare broadly, end of life care and Philanthropy. In 2012 he was awarded a knighthood for his services to philanthropy, in 2013 a Beacon Fellowship for Philanthropic Advocacy, a US Ferrari lifetime lectureship by Houston Methodist Medical School and an Honorary Degree by Anglia Ruskin University. Thomas is married to Juliet the founder and chair of the charity Smart Works and his great passions are choral music and family life. Nilkunj, a non-voting Board member since 1 July 2014, was appointed as a non-executive director on 27 November 2015 for a period of three years. He has diverse experience as an executive and non-executive director with interests in telecommunications, healthcare and financial services. Nilkunj was previously with McKinsey & Company, as the national lead for Mental Health and Orthopaedics. 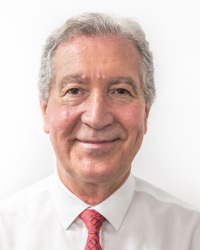 He also served as the Chairman of the South West London Elective Orthopaedic Centre (SWLEOC), one of the largest joint surgery hospitals, and a Non-Executive Director of Epsom and St Helier University Hospitals NHS Trust. Nilkunj has a MBA from INSEAD and is a fellow of the Institute of Chartered Accountants in England and Wales having trained with PwC. Nilkunj is a member of the Audit Committee and Finance & Investment Committee. Nick was appointed as a non-executive director on 1 November 2015 for a period of three years. He works as a consultant offering communications, policy and political advice and training to a wide range of clients. He is an Associate Director of public affairs company Interel Consulting UK. Nick was Chairman at the West Middlesex University Hospital from April 2015 until the acquisition by Chelsea and Westminster, having been a non-executive director and Deputy Chairman before that. He has other NHS interests, being a lay member of the North West London assessment panel for national clinical excellence awards and a lay chair and assessor for local and national medical recruitment and training progress reviews. Until 2004 Nick was the National Director (CEO) of the National Union of Students having previously been Director of Development and Training. Nick was for 9 years Chairman of the Trustees of ‘Watermans’ a multi-cultural arts centre based in Brentford. He is currently a member of the People and Organisational Development Committee. Steve was appointed as a non-executive Director on 1st November 2017 for a three year term. Steve has had an international executive career in the IT industry, including Chief Executive roles with Hewlett-Packard in UK, Korea and China. He has held non-executive Director roles advising on IT in Education. Steve qualified as a Chartered Accountant with PwC and has extensive experience in mergers and acquisitions, strategic planning, talent and organisational development, and risk management. Steve is also a Trustee of Age Concern, Windsor. Eliza was initially appointed as a non-executive director on 1 Jul 2014 and reappointed on 1 July 2017 for a period of three years. Eliza has had an international executive career in the oil and gas industry, and more recently has built a portfolio of non-executive appointments in the private and public sectors including a 5 year term at NHS Hertfordshire. She has expertise in strategic planning and organisation development. She is currently a Civil Service Commissioner and serves on the boards of the Marshall Aid Commission and of CPRE Hertfordshire. Eliza is currently the Chair of the Quality Committee and a member of the Finance & Investment Committee. Jeremy was initially appointed as a non-executive director on 1 Jul 2014 and reappointed on 1 July 2017 for a period of three years. Jeremy has substantial experience as a business leader who has managed financial risk, including mergers, disposals, joint ventures and organizational restructure. He has been on the Boards of Cable and Wireless and McCarthy and Stone, where he was Chairman. 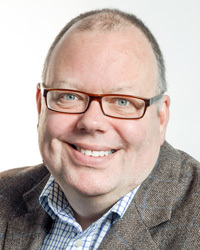 A Chartered Accountant by background, Jeremy has a strong interest in health from his work with care homes, and as a trustee of Marie Curie Cancer Care. Jeremy is currently the Chair of the Finance & Investment Committee. Dr Jones was appointed as a Non-Executive Director on 1 July 2014. Dr Jones is currently Chief Executive Officer at Ramsay Health Care UK and a member of the Ramsay Global Executive. He previously held a number of roles including Chief Operating Officer and Medical Director at Nuffield Health. A General Practitioner by background, he has also been an independent advisor to the Department of Health, and has a wide range of clinical and strategic executive experience. Dr Jones is currently a member of the Quality Committee. Liz, a non-voting Board member since 1 July 2014, was appointed as a Non-Executive Director on 27 November 2015 for a period of three years. A medical education and communications professional by background, Liz has extensive experience in healthcare strategy and change consulting. Until recently, she was Global Head of Healthcare and LifeSciences for FTI Consulting where she was a member of the Executive Leadership Forum. She joined FTI in 2007 when they acquired her company Sante Communications. She is now involved with a portfolio of businesses on investment, advisory and non executive levels. She is also a member of the Global Irish Network and a member of the British Council's Provocation Group. Liz is currently the lead Board member on Communications and Marketing. Liz chairs the People and Organisational Development Committee and is a member of the Audit Committee.